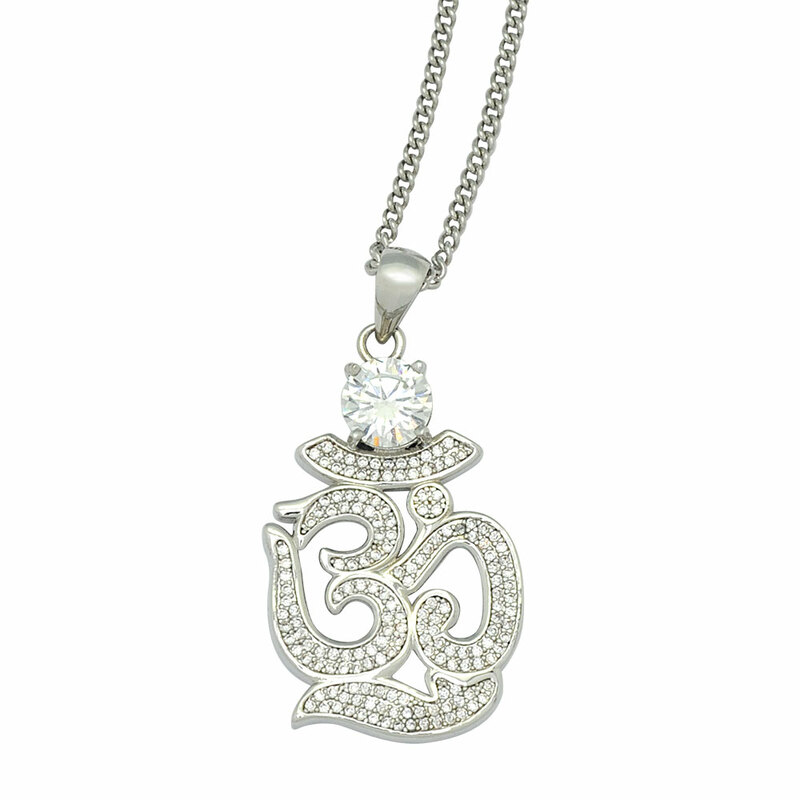 This stunning necklace features the syllable OM with a large man-made diamond. It is symbol of indestructibility in all Hindu and Buddhist Traditions. 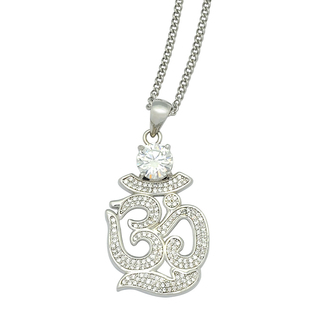 Wear as a strong safeguard against evil and unnatural death, and to attract happiness into your life.